Resumention has as its purpose the provision of top quality, custom resumes, CV’s and cover letters to customers who order them. 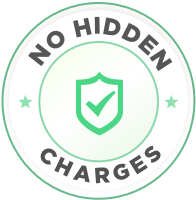 All of the documents produced by the Company are original, unique, and customized for each client. The goal is to provide superior presentation of candidates as top prospects for job openings. Once an individual accesses the Resumention website, either as a visitor or as a client who is ordering products or services, that individual automatically agrees to all of the terms in this document. If a visitor or client does not agree with any of the terms, then that individual should immediately leave this site. It is the responsibility of the client to make himself aware of all of these terms. Failure to read through this document will not relieve a client from being bound by these terms. The Company reserves the right to alter or amend any of these terms at will. These alterations will be published on the Company site, and are in effect as soon as they are published. It is the responsibility of the client to make himself aware of any changes. Failure to do so does not relieve the client from being bound by them. The client agrees that s/he may not sell, trade, share or otherwise distribute receivables for any commercial purpose. All receivables are to be used for the client’s personal job search only. The client agrees to restrict publication of receivables to his/her personal website and social media profile pages, for purposes of exposure to potential recruiters or employers. The Company ownership rights include the use of deliverables as samples for other clients to view. In the case of such use, all personal information housed in the documents shall be removed. A job search involves many variables, in addition to applicant documents. The Company cannot guarantee that a client will gain employment as a result of its delivered documents. However, a client has the right to request revisions to received documents up to 24 months following initial delivery. The professionals assigned to a client’s document order are experts in their fields. As such, they will make suggestions and recommendations regarding content, formatting, etc. We urge our clients to take these suggestions and recommendations and to ask for the reasons for them if they object. In the end, the professional will do what the client wishes and revise documents until that client is satisfied. When making your first purchase, you automatically create a personal account with Resumention.com. You will provide your contact information in order to create an account. When placing orders with Resumention.com, you provide very specific details that may reveal personal information (such as year of study, the Subject the product addresses or the name of the course you take). We assure you that this information is used ONLY to match your order requirements. You may request help from the Resumention.com customer support department. In this case, you will provide your email address and phone number so that we may contact you. Resumention uses information and data that is supplied by the client in the production of all documents and materials. It is the responsibility of the client to ensure that such information is truthful and is not in violation of any law, civil or criminal. Should a client face negative consequences and/or penalties as a result of supplying false information, the Company shall bear no responsibility and client shall indemnify and hold harmless the company. Client shall also bear any legal fees or court costs the Company might incur. 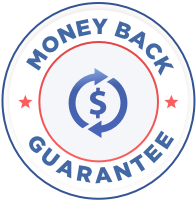 There is no guarantee that the Company website will be functional at all times. Power outages, hardware, software, and browser issues can occur at any time. When the company is able to, it will work quickly to resolve any issues. Some, however, will be beyond control (e.g. power outages). The company shall not be responsible for technical issues that may cause delays or suspension of production. The Company website is under full copyright. Visitors and clients may not copy, use, print, trade, or otherwise distribute any content on the Company site, for any purpose, without written permission from a Company executive. The company shall prosecute offenders. The Company complies with all local, county, and state laws within the jurisdiction of its headquarters. "CV was what I needed and Resumention gave it to me. Making it look like I am a professional in medical administration and has been there for years - I was totally surprised by the outlook of my CV and how business-like it actually looked. 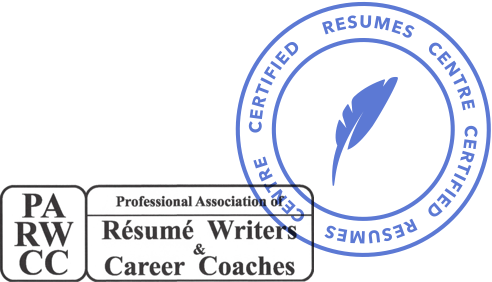 By the..."
Resumention.com provides premium CV\Resume writing service in various working fields. No matter whether it is your first CV or you`re a pro in business world and looking for a new position. Resume writing at this resource is good. I placed an urgent order of 24 hours and got it straight before the due hour. My new employer was delighted and so was I.